A change has been made to the upcoming UFC 124 card as Canadian Jason MacDonald has been forced off the card with an unknown injury. Stepping in to replace him will be fellow countrymen Jesse "Water" Bongfeldt. Canadian fighter, Jason MacDonald has been forced out of the UFC 124 card due to an unkown injury. But fellow Canadian, Jesse Bongfeldt, will step in to replace him. Bongfeldt will now face Rafael Natal in a middleweight fight of the upcoming event. Bongfeldt made his first appearance in UFC, carrying a seven-fight winning streak. However, he haven’t fought since September 2009. 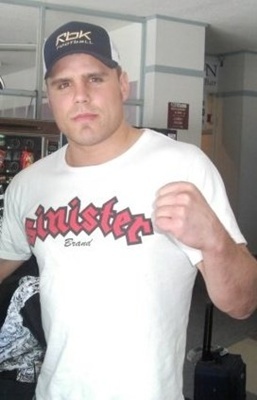 He competed in different shows and organizations over the recent years, and holds a submission win over T.J. Grant. The Jesse Bongfeldt and Rafael Natal match will be part of the preliminary undercard portion of UFC 124 that will be held in Montreal.